You will use mathematics to solve a wide range of problems and have the opportunity to master standard software used in industry. This research-led mathematics degree equips you with a solid base in pure and applied mathematics. Through optional modules, you can gain additional expertise in operational research (the mathematics of industrial decision making), probability, data analysis and statistics, and theoretical physics. You will solve large scale problems on computers using programming languages such as Python and R. The degree is underpinned by proof which gives you a deep understanding of the results you use. The course is taught by world leading researchers who develop and regularly revise our wide range of final year options which extends from theoretical physics and fluid mechanics to financial mathematical modelling and pure mathematics. This degree equips you with high-level skills which employers value. This gives you excellent career prospects as well as the possibility to progress to a research degree. We are very proud of the support we offer and we place an emphasis on developing your oral and written professional communications skills. This greatly enhances your employability. Our optional placement year is a great way to gain commercial experience and opens doors into good jobs. Our degrees feature a variety of final year project modules. This is an invaluable opportunity to work with a world class researcher on a project of your choosing and study a topic in depth. This also gives students something to show at job interviews and can be an excellent preparation for postgraduate study. 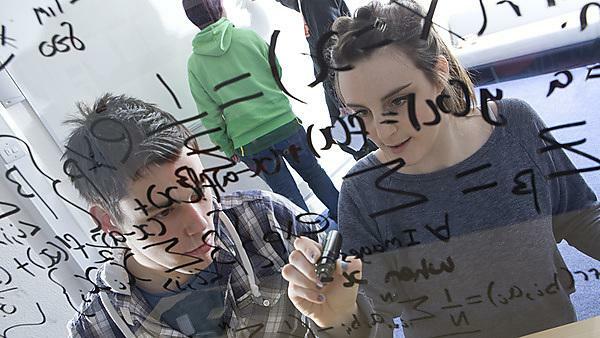 Your final year project is an opportunity to explore an area of mathematics in depth. In this video our graduate Edward Evans talks about his final year project on Fermat’s Last Theorem.